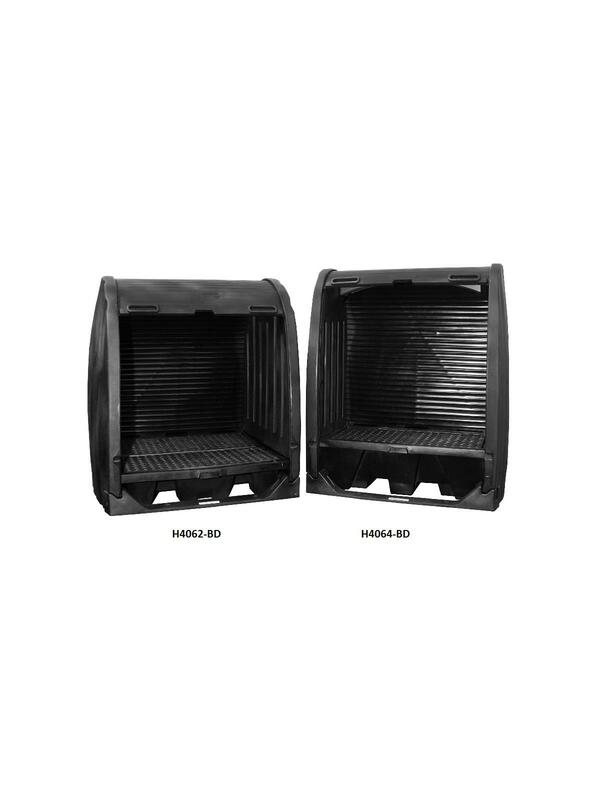 Removable grates for easy cleaning & sump access. Holds up to two 55-gallon drums. Store your drums indoors or out with Black Diamond Containment Sheds. 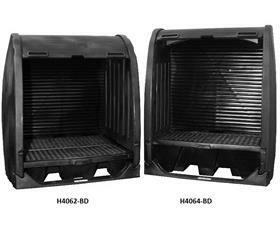 Roll-top design and dual-sided, lockable doors provide accountability and compliance without interrupting workflow. 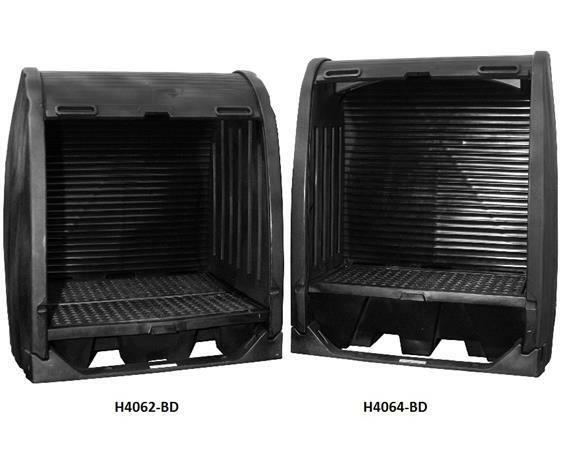 EPA 40 CFR 264.175, SPCC, UFC, and NPDES certified. FOB Shipping Point. 60 x 37-1/4 x 72-3/4"60 37-1/4 72-3/4"